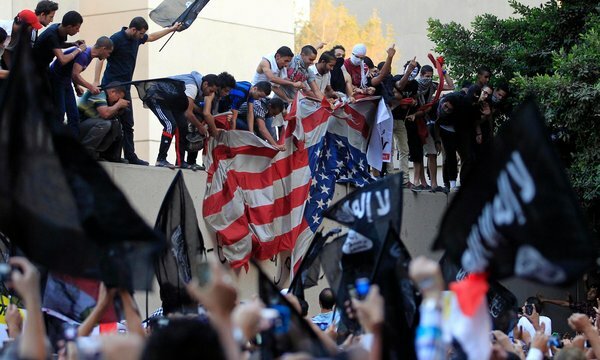 The deadly attack in Benghazi and protests in Cairo on September 11, 2012, reportedly over a video depiction of Muhammad produced in the United States, suggest a common understanding of the category “religion” between protestors and the makers of the video. Religions are obviously competitive, obligating followers to dismiss another religion to support their own or to defend their religion against such a dismissal. One means of dismissing another religion is to apply contemporary understandings of morality to the people in the religion, including central historical figures (Muhammad, in this case). This competition, over the morality of the religions among other things, often accomplishes more than the direct competition between religions. Those promoting the video express concern about the plight of Coptic Christians in Egypt, while I suspect that the outrage in Egypt and Libya similarly builds on the concerns of some about US policy and military action in that region. How different are these views from the ideas about the category “religion” that arise in discussions of pluralism and tolerance? While those positions appear to be the opposite of both the video and the response, concepts of pluralism and tolerance often assume a similar construction of religion. Religions generally are discreet traditions that have an exclusive membership (and thus competition) and can be judged on grounds of contemporary morality. Through their discussion of religion, proponents of pluralism and tolerance also promote other interests and goals for how society should operate. Rather than resorting to the language of pluralism or tolerance in response to conflicts such as these, perhaps scholars in religious studies should focus on disrupting the commonly accepted classifications, such as exclusive, moral religions, that pluralism and tolerance, as well as video makers and protestors, reinforce. This entry was posted in Politics and Religion, Religion and Society, Religion and Theory, Religion in the News, Steven Ramey, Theory in the Real World, Uncategorized and tagged Cairo, Coptic Christians, Libya, Muhammad, pluralism, tolerance. Bookmark the permalink.